As New York continues to work on optimizing the R in REV, reforming and refining its vision (certainly a very big task), it’s worth paying attention to the future roles of consumers and utilities. Energy is a commodity that impacts every single one of us. Currently, the vast majority of energy is generated through traditional methods by the utilities and delivered, sometimes over vast distances, to the consumer. Utility scale solar and storage projects, with the attention grabbing megawatts, do help achieve the aggressive renewable energy goals set by New York’s leaders- a necessary strategy in order to transition from fossil fuels. However, energy generated and utilized on site is efficient and can provide important additional benefits such as resiliency. Therefore, while utility scale projects do help New York reach critical goals, our efforts in 2019 should keep in mind the advantages of generating clean energy that can be used on site, and the proper balance that will be inclusive of all consumer demographics. This balance will ensure that our vision includes equity, access, and resiliency as we transition to a new green economy. In 2019, Sustainable CUNY’s Smart DG Hub will continue its collaborative efforts to create a pathway to the marketplace for energy storage with new guidance documents in development for Lithium-Ion battery permitting. This is one of several CUNY-led works in progress on energy storage that include working with UL, FDNY, NYC DOB and other City agencies to establish criteria that will help speed up approvals. These initiatives support Mayor de Blasio’s goal of 100 MWh of energy storage in NYC by 2020 and Governor Andrew Cuomo’s recently announced goal of deploying 3,000 MW of energy storage in New York State by 2030. The Governor’s 2030 goal goes beyond the target of 1,500 MWh by 2025 in his State of the State message last January. To help achieve these goals, the state’s Public Service Commission (PSC) authorized a $310 million market acceleration bridge incentive to be administered by NYSERDA in addition to the $40 million it authorized last month for pairing storage with solar projects . Sustainable CUNY, as part of the NYC Solar Partnership’s Shared Solar NYC program, will continue to roll out new tools in 2019 on the NYC Shared Solar Gateway 2.0 in response to the demands for access to solar for the country’s largest renter population. In the initial launch of the Gateway last year, the Partnership learned that there is no lack of interested solar ‘subscribers’ to potential large scale Community Shared Solar (CSS) installations, creating a need to find more sites willing to host CSS, as well as more developers and partners. Gateway 2.0 is an enhanced solar industry platform that enables all relevant stakeholders in the NYC community solar market to participate, encourages partnerships among different types of solar industry players, and increases the ability to bring community solar projects from start to finish on the website. Visit the Gateway where you can enter your information as a subscriber, host or developer to learn more. Simply put, solarize campaigns are like a solar Groupon for your home or business with an expiration date. Solarize NYC is a program formed by the NYC Solar Partnership and supported by Mayor de Blasio to bring solar to NYC’s diverse population by addressing the unique challenges of solar in an urban environment. In 2019 Sustainable CUNY, which administers the program, will launch a residential campaign in Brooklyn and continue to actively seek engaged communities that want to bring solar to their neighborhoods. 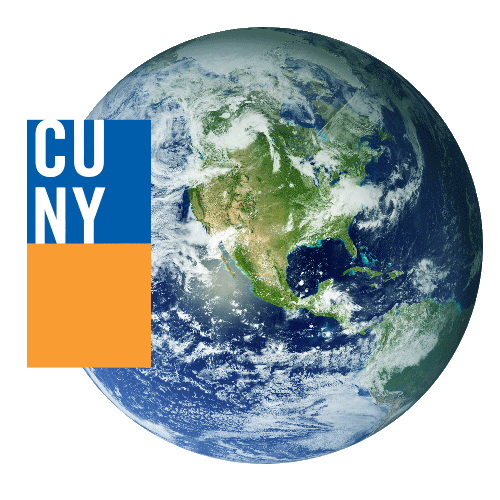 Since the educational phases of these campaigns often attract renters who want to find a way to invest in solar as well, Sustainable CUNY will connect them to Shared Solar NYC. In addition, Sustainable CUNY is working to broaden the program to the commercial sector by utilizing NYC Grid Ready to show business owners how they can go solar and save during a commercial Solarize campaign. Grid Ready is a tool on the NYC Solar map that performs analyses which can help owners determine if their building is ideally suited for the grid connection of a large scale solar installation. The New York State Energy Research and Development Authority (NYSERDA) has selected nine community shared solar projects throughout New York State as the first to be awarded contracts under its “Solar for All” program. 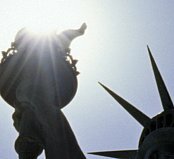 NYSERDA will contract for nine megawatts -- one megawatt from each of the nine projects -- to provide clean, no-cost electricity to about 7,000 low-income homeowners and renters who receive electric service from NYSEG, National Grid, Central Hudson and Orange & Rockland. “Solar for All” will ultimately provide 10,000 low-income households with this benefit. The complete list of projects can be found here . - Establishing a Sustainable Energy Loan Program (PACE) This bill would establish a sustainable energy loan program for the purposes of providing certain building owners with financing for the installation of renewable energy systems or energy efficiency improvements. - Commitment to Achieve Certain Reductions in Greenhouse Gas Emissions by 2050 This bill would establish the Office of Building Energy Performance as well as greenhouse gas emissions limits for existing buildings. This bill would also expand existing retro-commissioning requirements to certain buildings over 25,000 square feet. After unanimous votes in both the New York State Assembly and Senate, Governor Cuomo signed a bill on December 21st that provides a property tax abatement for electric energy storage equipment in cities with populations larger than one million. The abatement will be in effect from January 1, 2019 until January 1, 2021. You can find details and a definition for eligibility and electric energy storage equipment here.